Big Sugar seems to have copied the Big Tobacco playbook, a new report contends. 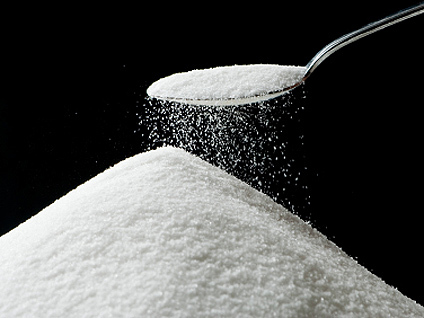 Instead, the sugar industry pulled the plug on the study and buried the evidence, said senior researcher Stanton Glantz. He is a professor of medicine and director of the University of California, San Francisco (UCSF) Center for Tobacco Control Research and Education. Glantz likened this to suppressed Big Tobacco internal research linking smoking with heart disease and cancer. "This was an experiment that produced evidence that contradicted the scientific position of the sugar industry," Glantz said. "It certainly would have contributed to increasing our understanding of the cardiovascular risk associated with eating a lot of sugar, and they didn't want that." Did sugar industry play down health hazards for decades? In response to the investigation, The Sugar Association issued a statement calling it "a collection of speculations and assumptions about events that happened nearly five decades ago, conducted by a group of researchers and funded by individuals and organizations that are known critics of the sugar industry." The new paper focuses on an industry-sponsored study referred to as Project 259 in documents generated by the Sugar Research Foundation and its successor, the International Sugar Research Foundation, and dug up decades later by Glantz and his colleagues. Researchers at the University of Birmingham in England conducted Project 259 between 1967 and 1971, comparing how lab rats fared when fed table sugar versus starch. The scientists specifically looked at how gut bacteria processed the two different forms of carbohydrate. Early results in August 1970 indicated that rats fed a high-sugar diet experienced an increase in blood levels of triglycerides, a type of fat that contributes to cholesterol. Rats fed loads of sugar also appeared to have elevated levels of beta-glucuronidase, an enzyme previously associated with bladder cancer in humans, the researchers said. Months after receiving these results, the International Sugar Research Foundation failed to approve an additional 12 weeks of funding that the Birmingham researchers needed to complete their work, according to the authors behind the new investigation. "The investigator they funded came back to them with preliminary results, which were showing these adverse effects of sugar and said, 'I need a few more weeks to finish the study,'" Glantz said. "They just looked at it and said no, and shut the whole thing down. As far as we can tell, nothing was ever published." Project 259's timing was critical, said Glantz and lead author Cristin Kearns, a postdoctoral fellow with the UCSF School of Medicine who reportedly discovered the industry documents. During that period, the U.S. Food and Drug Administration was weighing whether to take a hard line on high-sugar foods. "Had those results been made public, sugar would have gotten a lot more scrutiny than it did," Kearns said. The Sugar Association says Project 259 was significantly delayed and over budget, "and the delay overlapped with an organizational restructuring with the Sugar Research Foundation becoming a new entity, the International Sugar Research Foundation," according to its own review of archive material. "There were plans to continue the study with funding from the British Nutrition Foundation, but, for reasons unbeknown to us, this did not occur," the industry trade group's statement says. "Throughout its history, the Sugar Association has embraced scientific research and innovation in an attempt to learn as much as possible about sugar, diet and health," the statement continues. "We know that sugar consumed in moderation is part of a balanced lifestyle, and we remain committed to supporting research to further understand the role sugar plays in consumers' evolving eating habits." Nutritionist Sharon Zarabi is director of the bariatric program at Lenox Hill Hospital in New York City. She said the new investigation reveals "the power food industry lobbyists have on government guidelines that instruct us on what to eat." Zarabi noted that "most research studies that support specific foods are funded by industry and this oftentimes skews the results." Although these revelations might produce a media furor, they're unlikely to change the recommendations coming from dietitians, said Kelly Hogan, clinical nutrition and wellness manager at the Mount Sinai Dubin Breast Center in New York City. That's because subsequent research has revealed the effect that diets high in sugar can have on long-term health. People need to follow a balanced diet if they want to eat healthy, and that doesn't mean just focusing on added sugars, she said. "You can't point out one single thing and blame that on any sort of health crisis, either now or 40 years ago," Hogan said. "It's never just one thing, whether that's sugar or saturated fat or whatever the trendy thing might be." The new paper was published online Nov. 21 in the journal PLOS Biology. It was funded by a grant from the U.S. National Cancer Institute, among others.